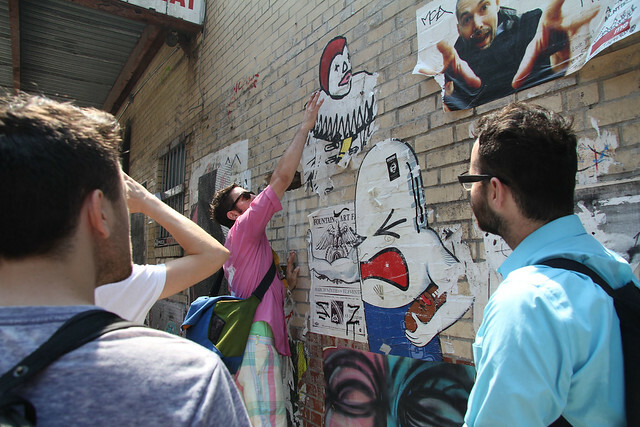 Afterwards we visited Lower East Side galleries. 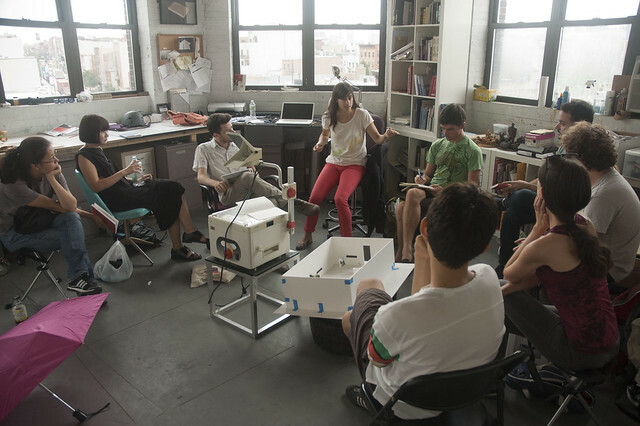 Risa Needleman gave the New York Arts Practicum a walkthrough of the “Furniture” show at Invisible Exports. Three great visits in two days to Jill Magid, Mark Tribe and Brody Condon’s studios. Jill Magid told us the incredible story of her research trip to Texas where she happened to witness a capitol hill shooting. She showed us the model for her show that is up currently at Yvon Lambert in Paris, which is based off of police video and 911 audio tapes of another shooting in Texas. 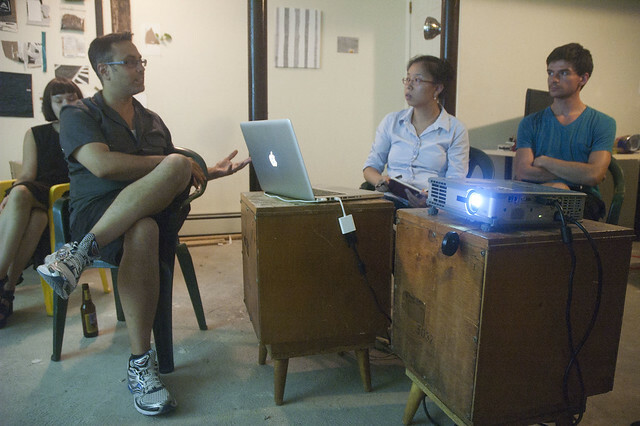 Mark Tribe talked to the participants about how he came to be an artist, the difference between running an organization and making art, and his projects of the last few years. Brody Condon gave the participants the opportunity to ask him any question they wanted. 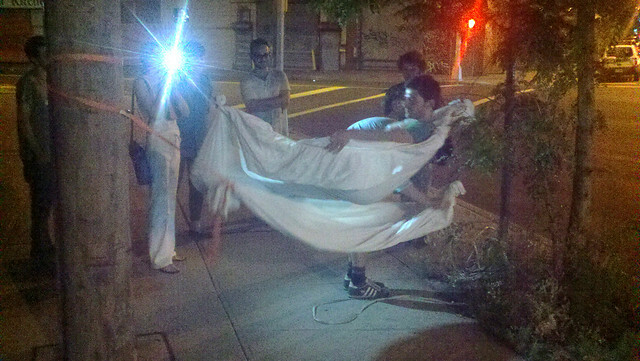 Faced with that total freedom/control, the participants were a bit like deer in the headlights. 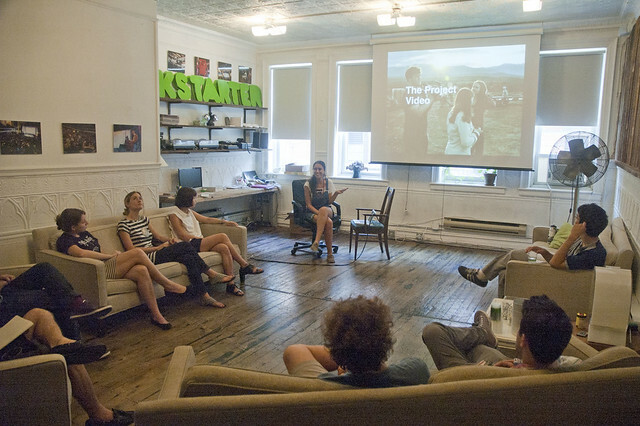 After a good long silence, Brody launched into a presentation of the mechanics of making projects, passing around the production binder for his most recent project. And then we sat and watched the full, gorgeous video itself. 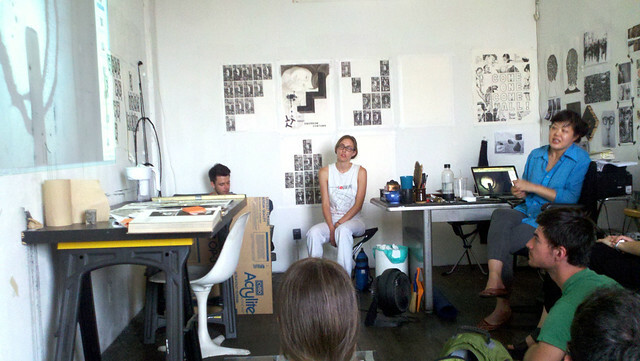 Sara Greenberger Rafferty led Critique/Seminar on Tuesday. 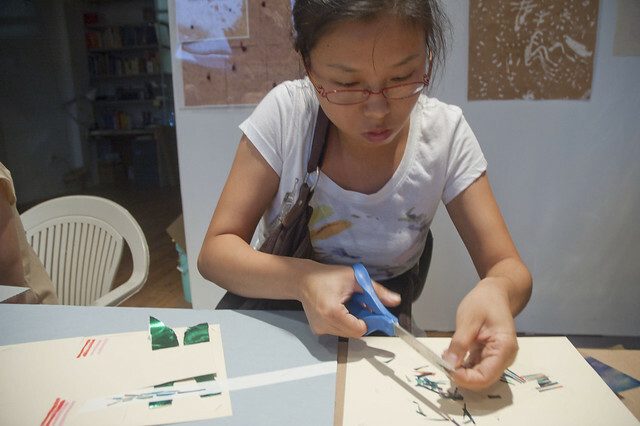 She was fresh from a residency at Ox-Bow where she co-taught a class on artistic labor with Michelle Grabner. We started the session with some beers and a short free writing exercise about artistic labor. After reading aloud and discussing some of the participants thoughts on artistic labor, Sara introduced the plan for the evening: we were making a collaborative edition. We each drew numbers to form the order of our assembly line. Each person got to make one move, one decision, and then pass the piece on to the next person. A flurry of materials and making and two hours later we had 20 or so pieces. As Sara noted, we are often accustomed to working with very specialized and specific tools and materials. Letting go of that specialization, and taking some risks with unfamiliar materials and quick decisions can often be inspiring or invigorating. 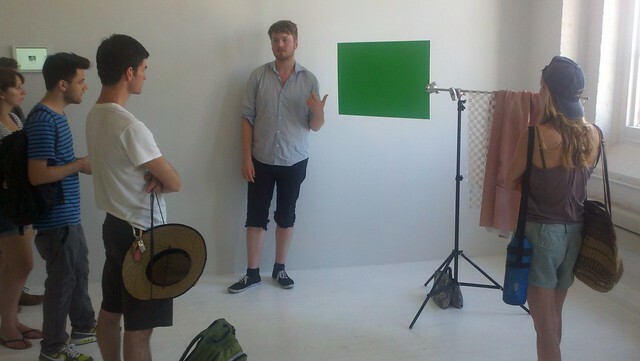 Friday we visited Lize Mogel‘s apartment studio/office in Fort Greene, and then headed to Chelsea. 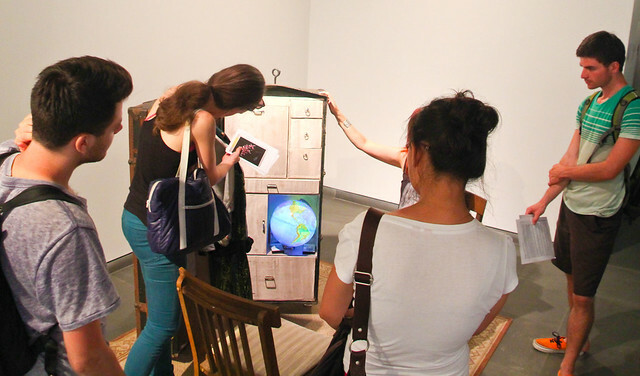 Lize discussed maps, institutional power, and the role of the artist seeking change. 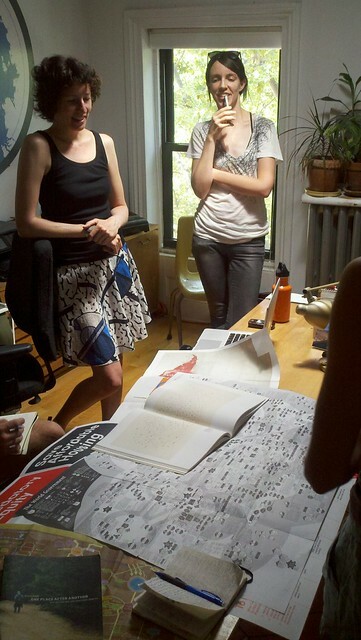 As preparation for our trip to Chelsea, Lize showed the participants her Economy of the Art World diagrams. Sobered a bit, we set off for Chelsea. 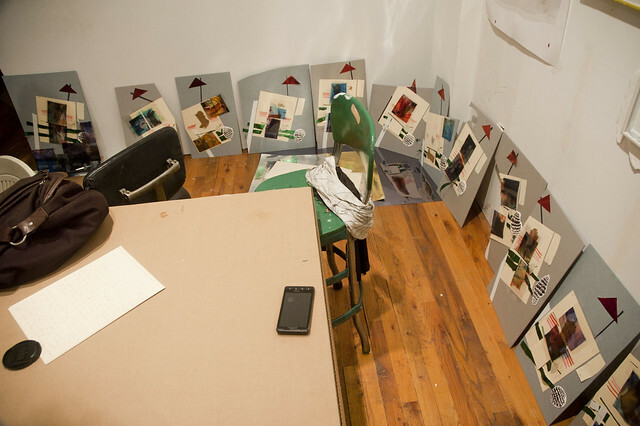 First we went to Postmasters, where Magda Sawon talked to us about Holly Zausner’s show. 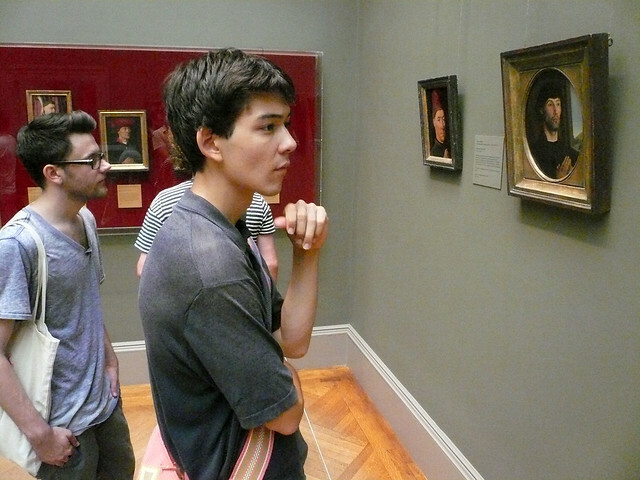 We checked in on David Horvitz’s Life. Drawing. at the Kitchen; the participants will be doing a drawing session with David (who is a Mentor int he program) next week, and David requested they see the piece before the session. We popped in at David Zwirner to discuss different types of galleries, and the ways that galleries are becoming memorials for dead objects in much the same way museums already have been (Gagosian was closed for installation, so couldn’t go there…) We stopped in at Bitforms, where Steve Sacks showed us new work in their project space. 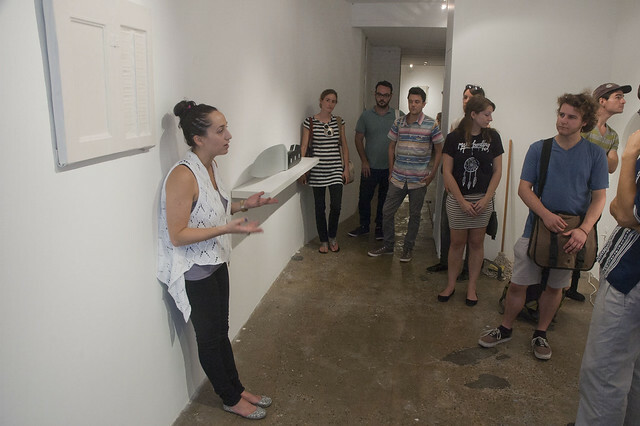 After stopping by Printed Matter, we headed up to Stadium where curator Artie Veirkant, and Assistant Director Lauren Christiansen walked us through their In Post show. 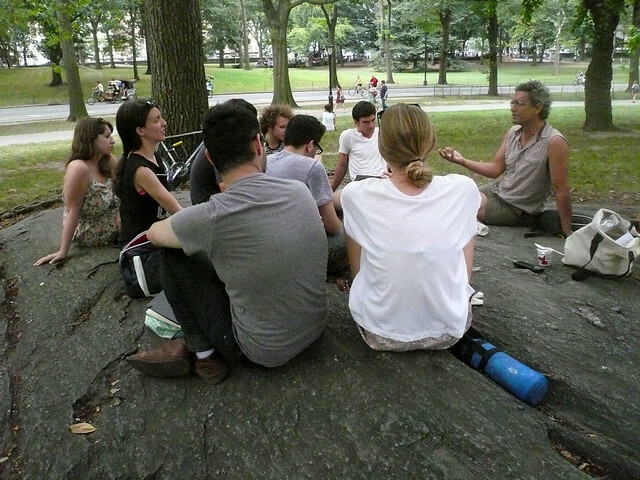 Curator talk from Artie Vierkant at Stadium. He is standing in front of a Chris Coy sculpture. 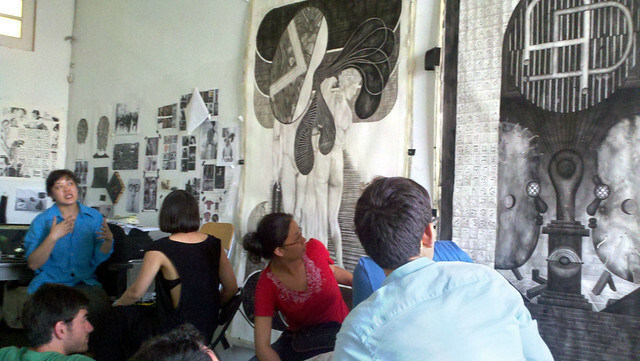 The New York Arts Practicum is coming to the end of week 2. 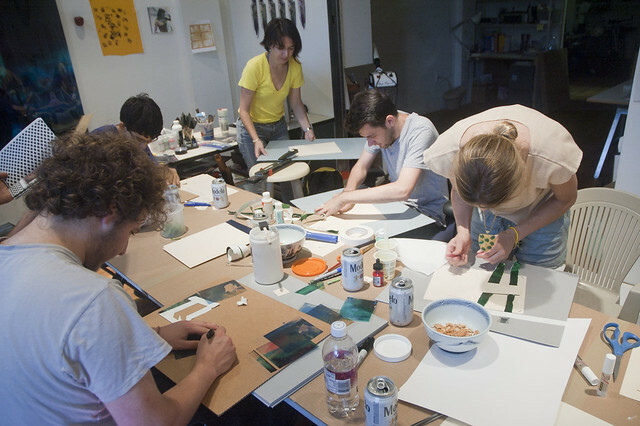 Everyone has been working in their apprenticeships with their mentor artists. 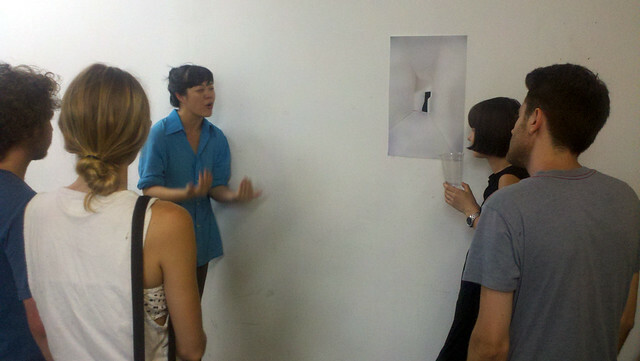 The participants are currently working on their first pieces for critique next week with Jen Liu. 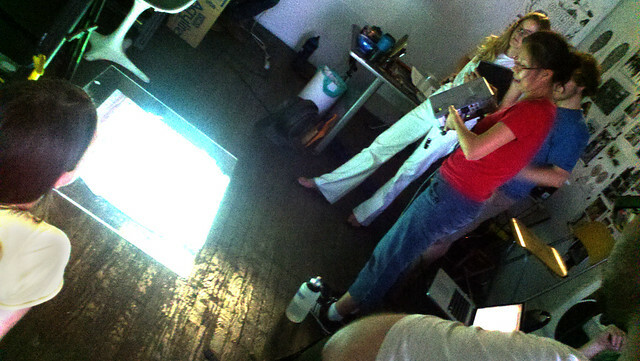 Last week as part of our orientation, we visited MoMA, shared a meal, shared work in a Pecha Kucha, went to openings in Chelsea, took a street art walk through Chelsea, Soho, LES, and Bushwick led by Matt Levy, visited Open Studios at Eyebeam, and had a curators talk from Amanda McDonald Crowley at her show Our Haus at the Austrian Cultural Forum. 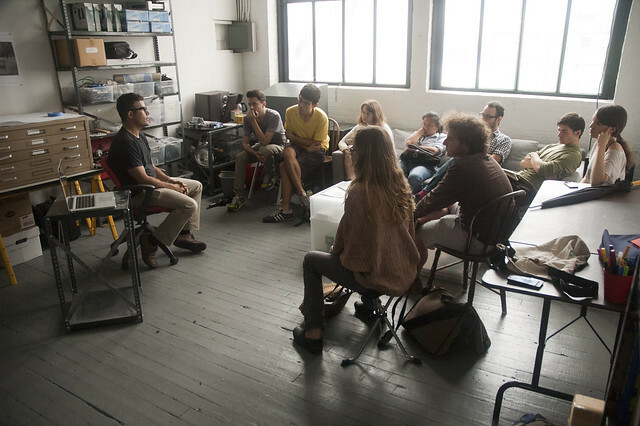 This week we had seminar with Trevor Paglen, who showed us work, and lead us in a conversation, we had a seminar with Penelope Umbrico, who showed us new work, and talked about appropriation. 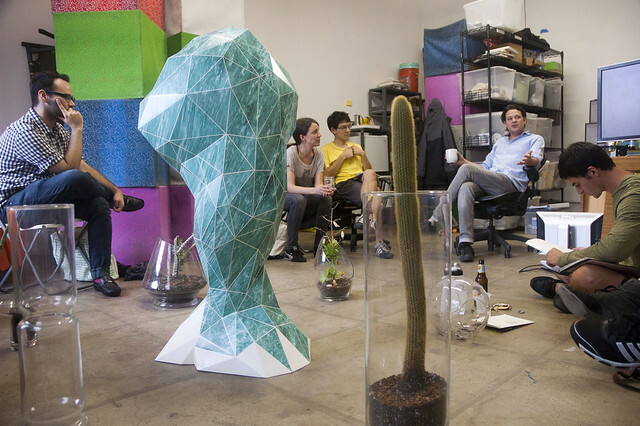 Tomorrow we will have a studio visit with Lize Mogel, head to Chelsea for galleries, and end the day with a curators talk from Artie Vierkant at Stadium, NY.